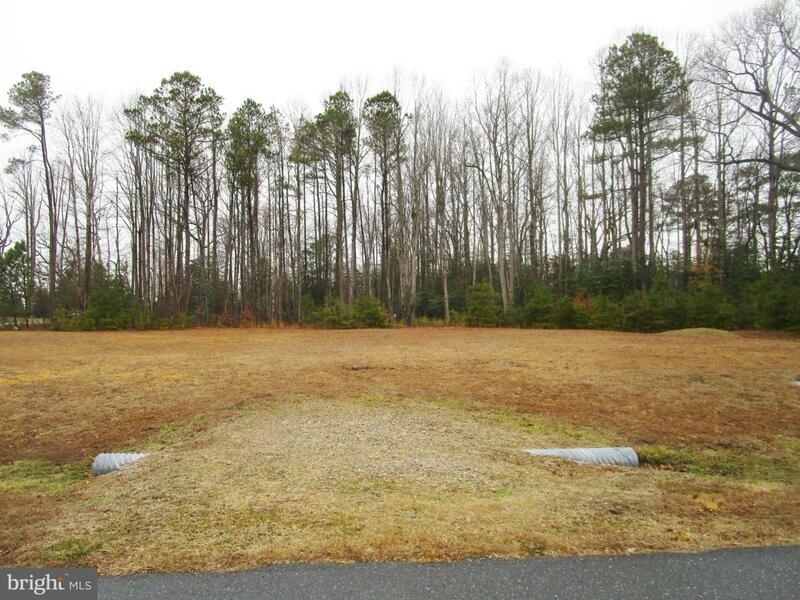 Large, mostly cleared building lot in the community of Pinewater Woods located just across Sloan Road from Herring Creek. Just minutes to the coastal resort towns of Rehoboth Beach and Lewes, yet tucked away in a peaceful and private setting. Potential for beautiful water views of Herring Creek. Boating enthusiast have a community boat ramp and this lot also has access to a deeded dock. Herring Creek provides deep water access to Rehoboth Bay, Indian River Inlet, and the Atlantic Ocean. The Herring Creek Sewer Project is projected to be started in the last quarter of 2019 and should be completed sometime in 2021. Don't miss out on this opportunity to build your home on a lot just under one acre and located in a very desirable community with water access!